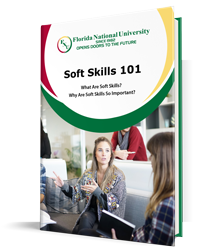 HIALEAH, FL – For Leticia Perez, success was not something that came easily. 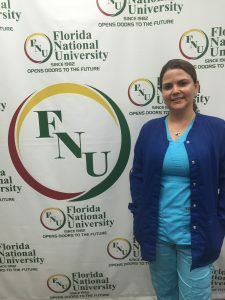 After a countless number of sleepless nights, through great sacrifice and dedication, Leticia has found a home for her career in the same place where it all started, Florida National University (FNU). Leticia Perez came to this country illegally from Cuba in 2005 in search of greener horizons for opportunity. After becoming an American citizen shortly after, and getting herself situated in her new surroundings, Leticia began her journey down an academic path that would immediately prove worthwhile. Simply put, Leticia’s hustle was relentless. The first step towards fulfilling her dreams began in 2010, when Leticia decided to enroll at FNU. Just one year later, she graduated as an LPN (Licensed Practical Nurse.) Proving that there is truly no rest for the weary, she did not stop there. Leticia received her Associate’s Degree in Nursing in 2012 and her BSN (Bachelors of Science in Nursing) in 2013. In 2014, Leticia enrolled in South University in Savannah, Georgia to obtain a Master’s degree in Advanced Registered Nursing (Adult Gerontology), which she completed in March of 2016. To get a better idea of Leticia’s work ethic, it should also be noted that she worked full-time throughout her entire academic career. Leticia also took the time to show her appreciation to Dr. Ruben Coll, Dr. Maida Burgos and all her professors for their support and guidance throughout her nursing career at FNU.